Can’t see the words cause the resolution is too low. damn, he has dual screens. his computer is better than mine! Has nobody else noticed the Happy Bunny? Happy Bunny makes me……happy!! 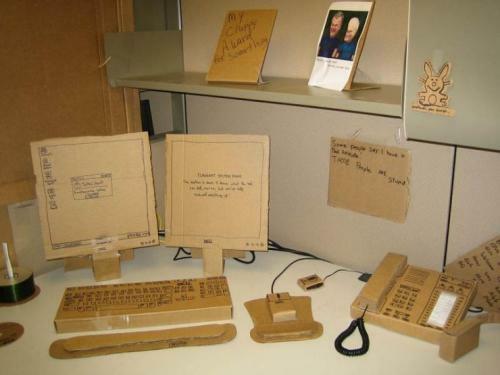 This would be an awesome office prank, if your replaced your coworkers work stations with cardboard replicas.